Van Dyck was court painter to Charles I of England and highly acclaimed for his regal, yet sensitive, portrayals of the royal family. 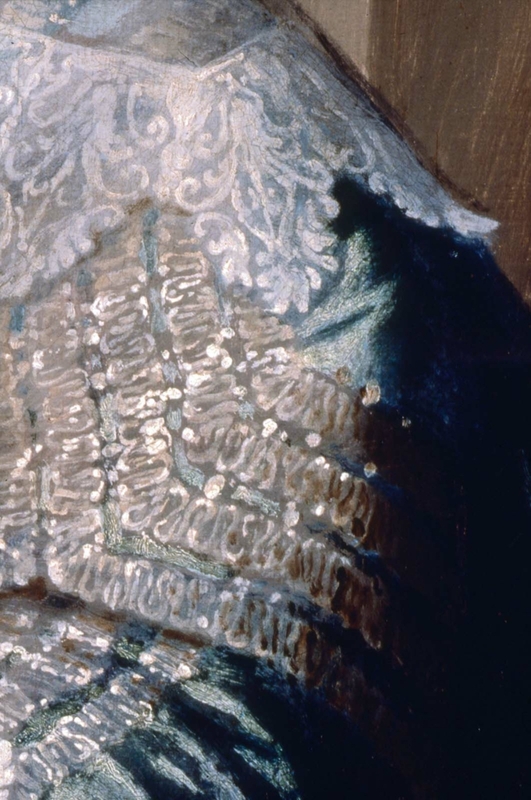 This portrait is possibly the one described in a 1647 letter from the king as “the Originall of My eldest Daughter” hanging in Hampton Court Palace. 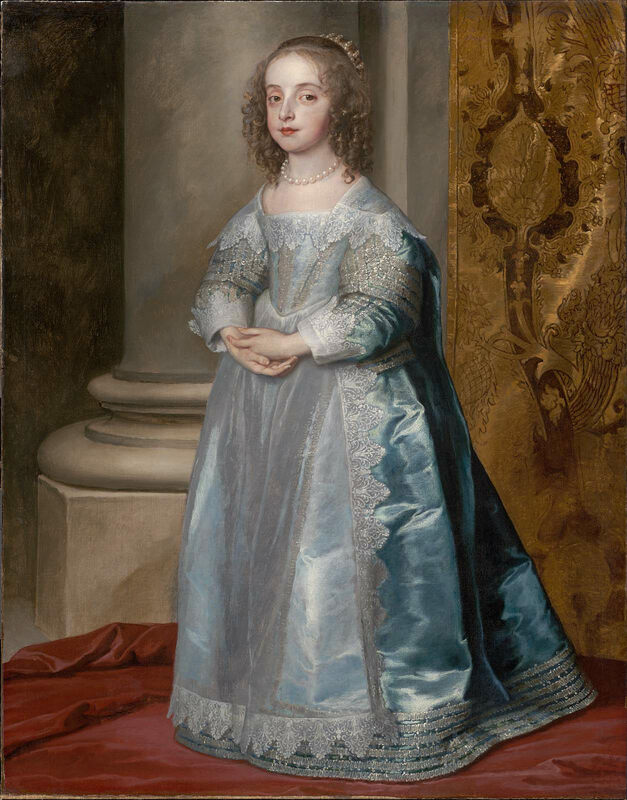 Van Dyck represents the six-year-old princess with poise beyond her years, dressed not as a child but a woman prepared to fulfill her role on the European stage. 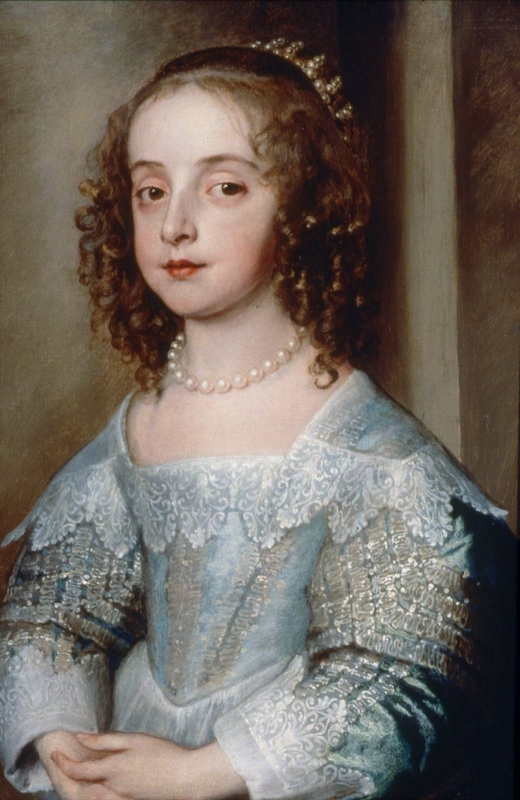 After failed attempts to betroth her to a son of Philip IV of Spain and her first cousin Charles I Louis, Elector Palatine, Mary—aged nine—married Prince William II of Orange on May 2, 1641. Thanks are due to Sebastian Edwards for suggesting that this portrait of Mary Stuart (b. 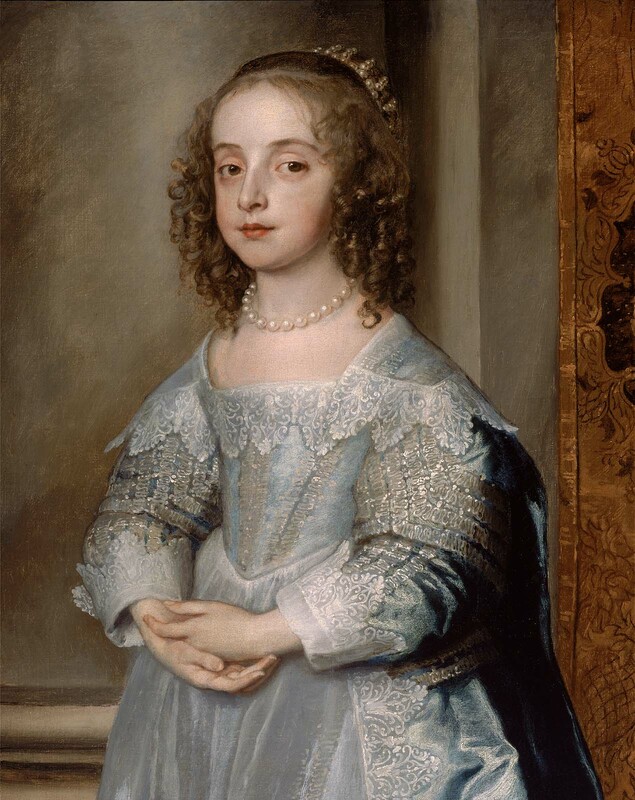 1631 - d. 1660) may have been owned by her father, Charles I. In 1647, the king wrote in a letter about his pictures at Hampton Court, including "the Originall of My eldest Daughter (it hangs in this chamber over the board next to the Chimney)," though he does not specify the artist. In 1649, when Charles was executed, inventories of his collection were drawn up and included a "Princess Mary. princess of Orange. at Length." This was sold to Emanuel de Critz, a portrait painter who may also have worked as a dealer. See Oliver Millar, "Van Dyck in London," Burlington Magazine 110 (June, 1968), 311 and ibid., "The Inventories and Valuations of the King's Goods, 1649-1651," Walpole Society 43 (1970-1972), 151, no. 9. The 1661 inventory of Cardinal Mazarin's collection included a painting "by Van Dyck, on canvas…the Princess of Orange, standing, dressed in blue," measuring approximately 48 by 39 inches. Oliver Millar has tentatively identified this with the MFA painting, which measures 52 by 42 inches. See Van Dyck: A Complete Catalogue of the Paintings (New Haven and London: Yale University Press, 2004), 339, cat. no. III.113 and 554, cat. no. IV.161. Although the MFA painting cannot be positively identified in the collection of Charles I (see above, n. 1) Mazarin did acquire, through agents, a number of works of art at the Commonwealth sales. The April 19 sale was made up of the property of the late Viscountess Hampden. An annotated copy of the catalogue (reproduction in MFA curatorial file) has on its last page a handwritten description of the sale of four items "from the late Hon. Aug. Phipps's collection." 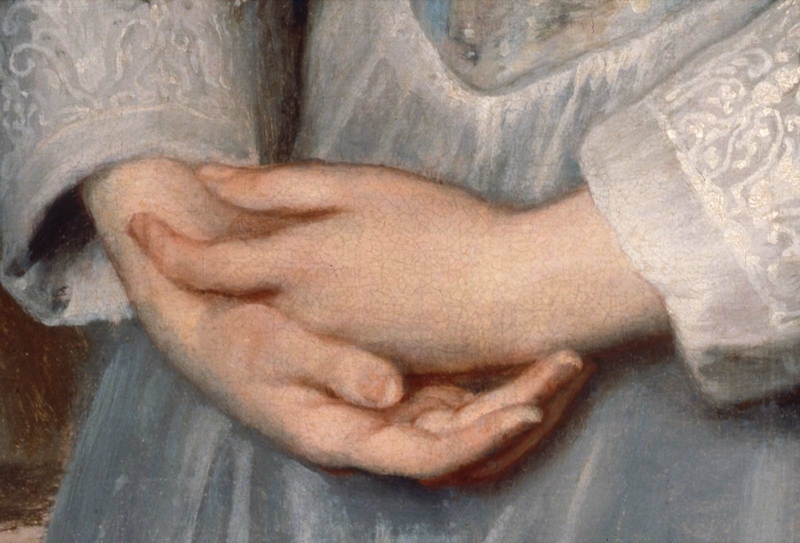 The first is a painting by Van Dyck described as the "Princess Eliz. daughter of Charles 1st," sold to Lord Normanton for £135.9. The stock number is found on a label on the reverse of the original stretcher. It was sold to Agnew as a portrait of Princess Henrietta Maria.